On August 1, 1989, the House of Panama became an official member of the House of Pacific Relations, a not-for-profit community organization dedicated to furthering cooperation and understanding between national groups in the United States. Throughout the years we have participated in the several community events and have met thousands of San Diego residents and visitors from around the world. We established a High School Scholarship Fund and have awarded several student awards of over $500.00, our 2014 recipients will be presented at our Lawn Program on August 10. In 2013 we held the first House of Panama Business Expo to connect with Panamanian business owners. With over 25 years of existence, the House of Panama is still going strong. For the 2015 Centennial Celebrations of the creation of Balboa Park, the House of Panama Board, members, and supporters have focused all efforts to build an International Cottage in Balboa Park. A cottage will continue our dream to share our Panamanian culture and heritage. Consider a donation of $25.00 today to help us fund this dream. To commemorate our 25th anniversary year, we begin by sharing special memories from our members. Our first highlight article is about Dorotea Lindsay, our founding member. 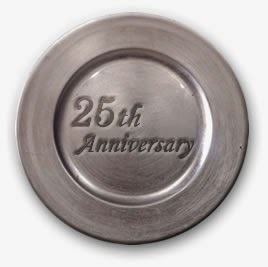 Thank you, for your support over the past 25 years. You have been critical to our continued success, and we look forward to the next 25 years. Remember to subscribe to our newsletter to receive for the latest member highlights and anniversary event details. This post Today, the House of Panama celebrates our 25th anniversary - August 1, 2014 first appeared on http://www.houseofpanama.org/.